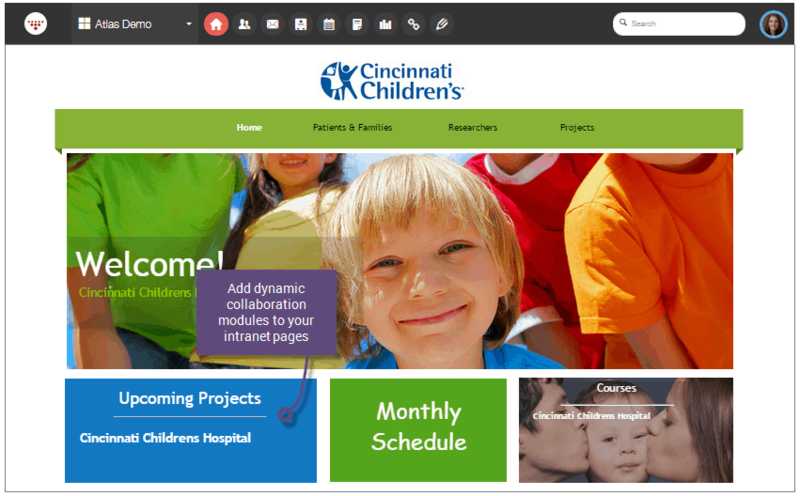 Quickly create a highly customized company intranet with dedicated spaces for teams and departments. Get drag and drop publishing tools and over ten collaboration features. Why Do You Need a Corporate Intranet? Every company needs to collaborate. Sharing and working together on information with colleagues is critical to teamwork and productivity. A corporate intranet is a place where you organize information by groups and teams, streamline processes by creating workflows and provide employees with productivity tools to work better. Once you’ve made the important decision to invest in a corporate intranet you are on your way to a more efficient workplace. What are my Options to Create an Intranet? The next question you need to ask yourself is whether or not you have the IT infrastructure to build and maintain your company intranet. There are many approaches you can use to build a corporate intranet. You could opt for a custom built intranet or purchase specialized server based intranet software. Both of these approaches require you to spend thousands of dollars to configure and implement a solution, set up dedicated servers, and hire expert staff to maintain your intranet. This tremendous cost and effort puts these approaches out of the reach of small to mid sized businesses. 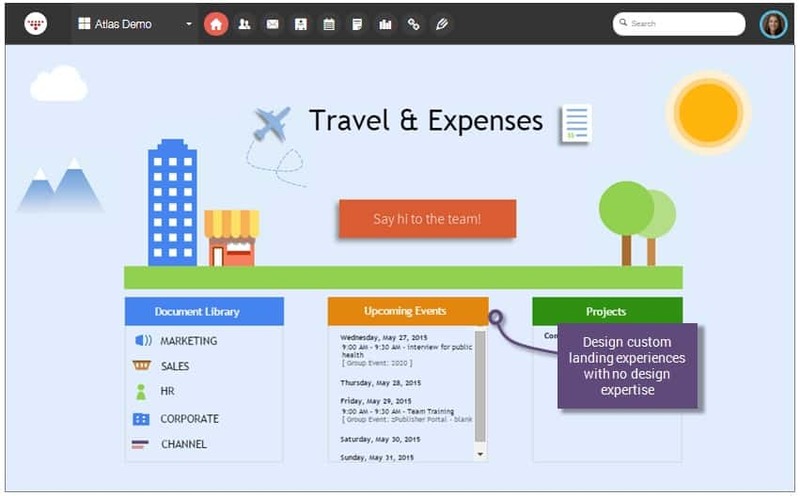 HyperOffice brings corporate intranets within the budget and reach of small businesses. It is a completely web based intranet software solution. You get all the intranet features present in an enterprise class company intranet. But there’s no in house hardware to install, no software to download, no long implementation cycles, no expert IT staff to hire to set up and maintain your company intranet. HyperOffice lets you simply get on an internet connection, and start creating your thriving corporate intranet with simple mouse clicks. Your HyperOffice corporate intranet combines the security of a hosted intranet with the power of online collaboration tools to save money and increase productivity. Security is a top priority with secure offsite facilities, redundant servers for 99.9% reliability, real-time back-ups, free upgrades, spam, and virus protection. HyperOffice offers a user-friendly and affordable corporate intranet solution so business can access information anytime and anywhere with just an Internet connection. Now you have a fast, easy, and secure way to access business-class email, group calendars, critical documents, and time-sensitive projects from any Internet connection. Organize important business documents by company departments. Share calendars, contacts, and projects online. Give customers or mobile workers access to projects and events.Corporate intranets used to be costly and complicated. With HyperOffice you can build an intranet for your company in less than 2 minutes! There’s no software to install, no servers to maintain and best of all we serve as your IT department. Online task and project management.